Winstep Forums • View topic - Winstep announces strategic alliance with Proxma AG! Post subject: Winstep announces strategic alliance with Proxma AG! Winstep Software Technologies is pleased to announce the establishment of an alliance with Proxma AG, one of Germany’s leading software-distribution companies. Through this alliance, Proxma AG will market Winstep products in Germany, Austria and Switzerland. 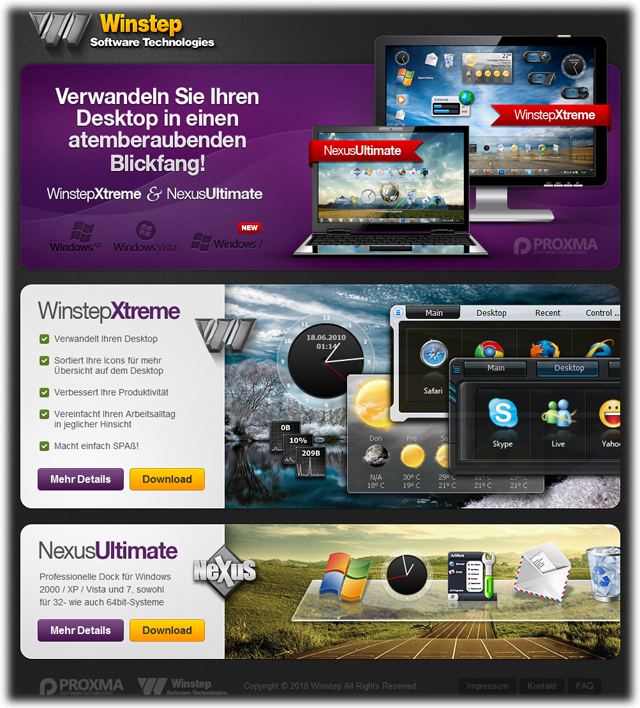 An exceptional success story today, Proxma AG operates a number of very high-access electronic software distribution platforms, including the popular portal http://www.pro.de. With Proxma´s extensive network and wide range of distribution channels, Winstep will be able to reach a majority of households in the German speaking countries and have its products available for direct sale in more than 3,000 retail outlets.